The past couple of years have been seen it become increasingly tough for first time buyers to get a mortgage. More forms and checks have been put in place and applications take longer than ever. The group of people who have suffered the most from these changes are those who are self-employed. In November, the “Mortgage Market Review” was introduced, where most lenders insisted on those who are self-employed showing a minimum of 3 years earning history. Contractors were required to prove that they had clients with at least 6 months left on their contract and a 2 year track record. 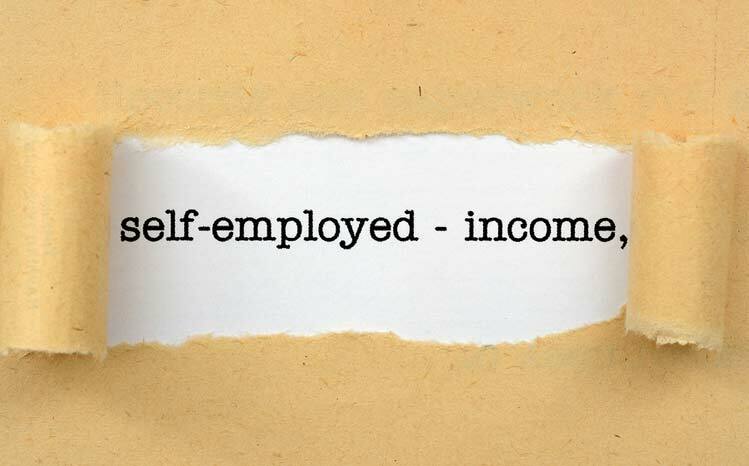 The Office for National Statistics showed that 4.6 million people in the UK working are now self-employed. This is the highest proportion ever recorded and the fastest growing group of earners. The first step to getting a mortgage is to prove to lenders that you have a successful and profitable business. The majority of lenders won’t consider a mortgage application unless you have over a year’s accounts, but there are some that are more flexible. An SA302 form will be accepted as proof of income, but the more you can produce the better. If you can confirm you have future business contracts lined up for your job, then this will also help to prove your case to most big lenders. Getting accepted for a mortgage is one thing, but new “affordability” rules may affect exactly how much you will be allowed to borrow. Previously, those who were self-employed could use their highest recent annual income as the figure to base their application on, but now an average is taken from the past 3 years. If you try and reinvest your money into your business and only withdraw a very small income, this could prevent you from borrowing the loan you need. Try and save up a large enough deposit and take a reasonable salary for yourself before applying for a mortgage. Having your mortgage application refused can be expensive and very negative for your credit file, making your chances with any other lender even harder. It is important to find the right lender to approach first time round, but it isn’t always easy. The majority of self-employed lenders will only accept applications through brokers, which can be expensive, but their advice can be invaluable. There are some big high street names that have departments catering for more complex or “non-standard” cases too though, so it is worth looking around. Unfortunately most lenders require different applications, so a set of paperwork you have prepared for one lender may not necessarily work with another. Check your credit file is positive and that you are on the electoral roll before applying for a mortgage too. Make sure your application is as perfect as it can be, it’s not impossible to get a mortgage if you’re self employed, it just takes a bit more effort and care. Keep all your records and accounts up to date and speak to a specialist about your different options.